Skincare Overnight Facial Exfoliating* - Carol Thompson Images, Inc. Call me at 800-944-5054 and we can discuss your needs. I have samples you can try. Call today! Glycolic is a naturally-occurring, non-toxic Alpha Hydroxy Acid found in Sugar Cane. Its small molecular structure facilitates a more effective penetration of skin cells when compared to other Alpha Hydroxy Acids. Glycolic accelerates the removal of dead skin, increases collagen production, and reduces the appearance of fine lines, sun damage and hyper-pigmentation. 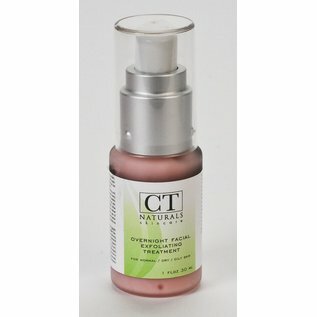 This exceptional 15% concentration serum also contains Apple Source Malic Acid, Salicylic Acid and Organic Extracts that diminish large pores, acne scarring, and help clear oily or acne-prone skin. Not recommended for sensitive skin.